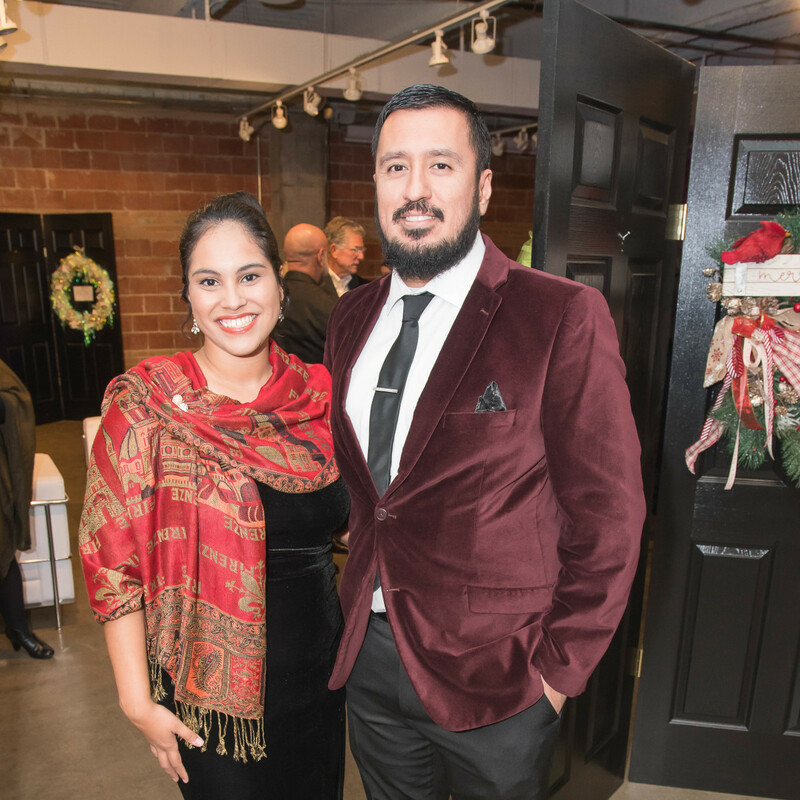 If you're one of those people who puts up Christmas decorations before Thanksgiving, then DIFFA/Dallas' Holiday Wreath Collection is the party for you. 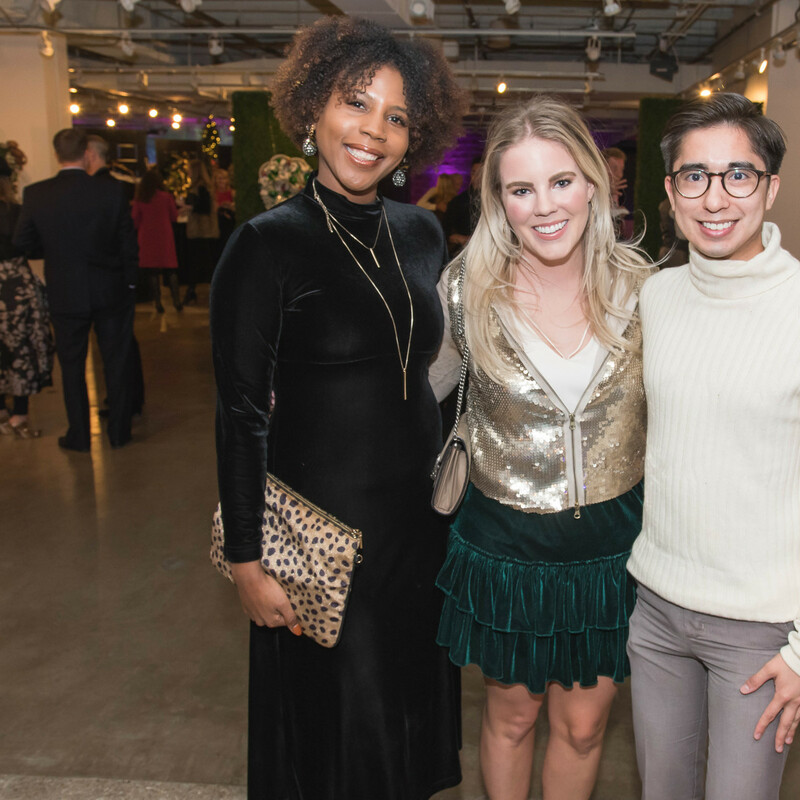 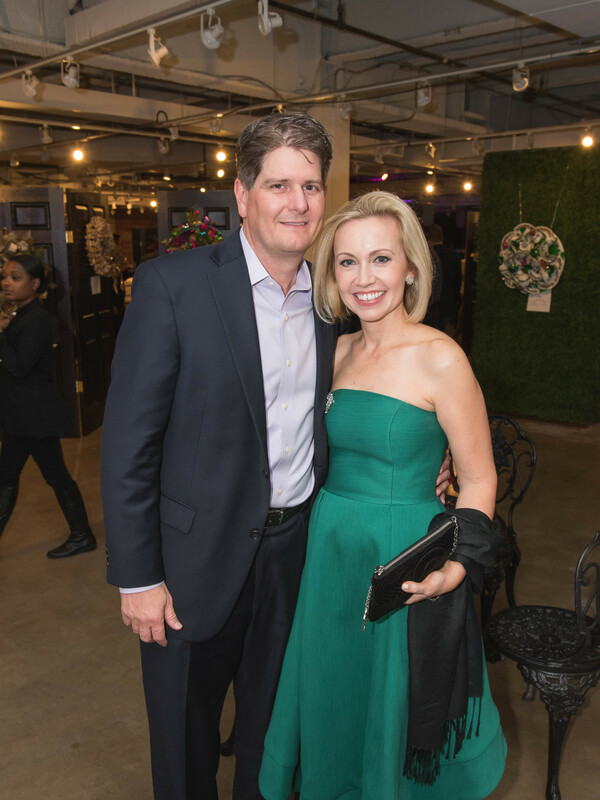 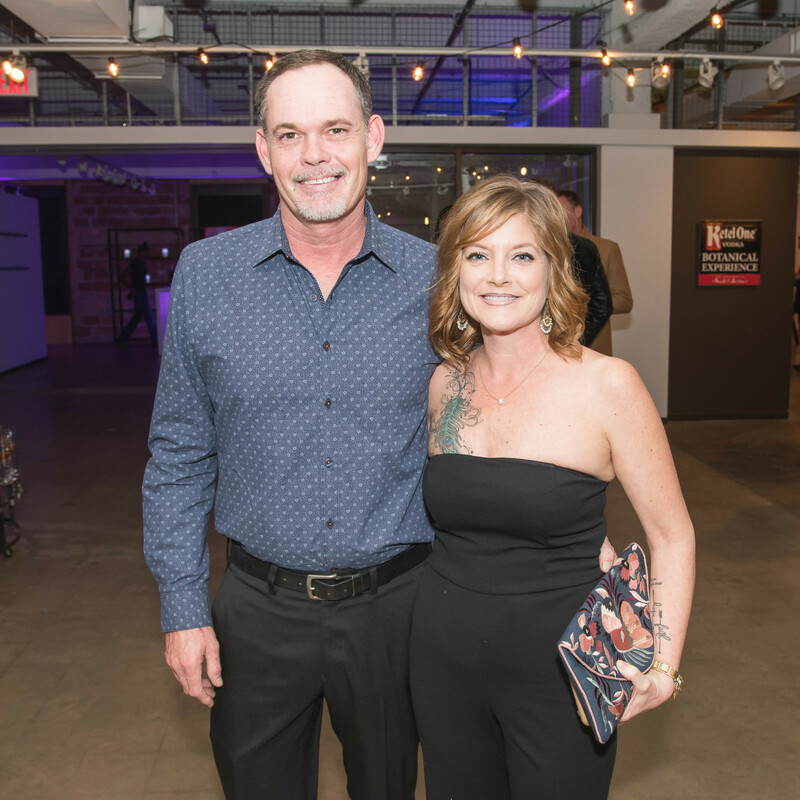 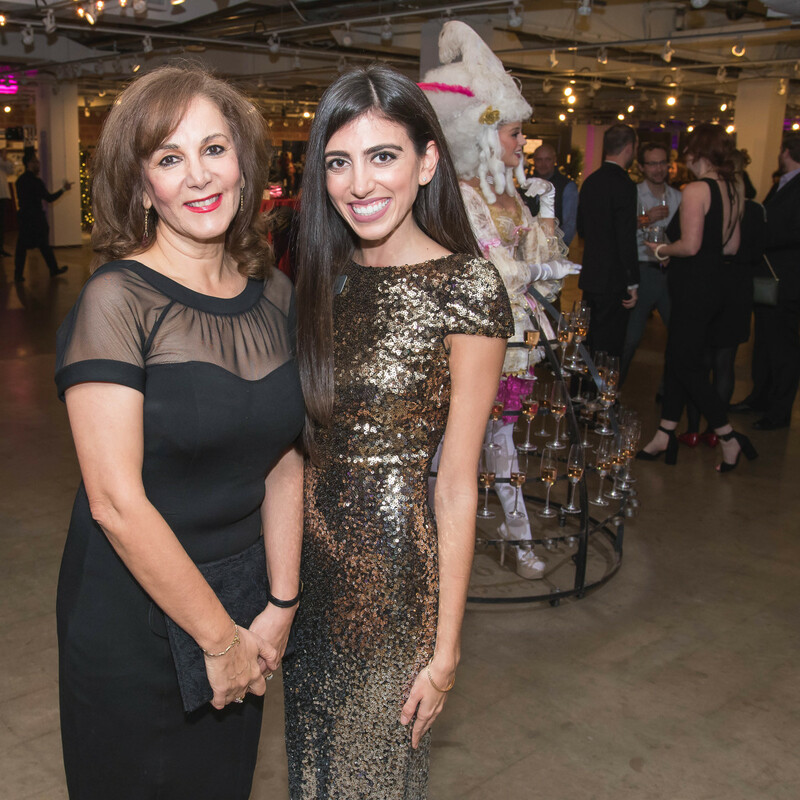 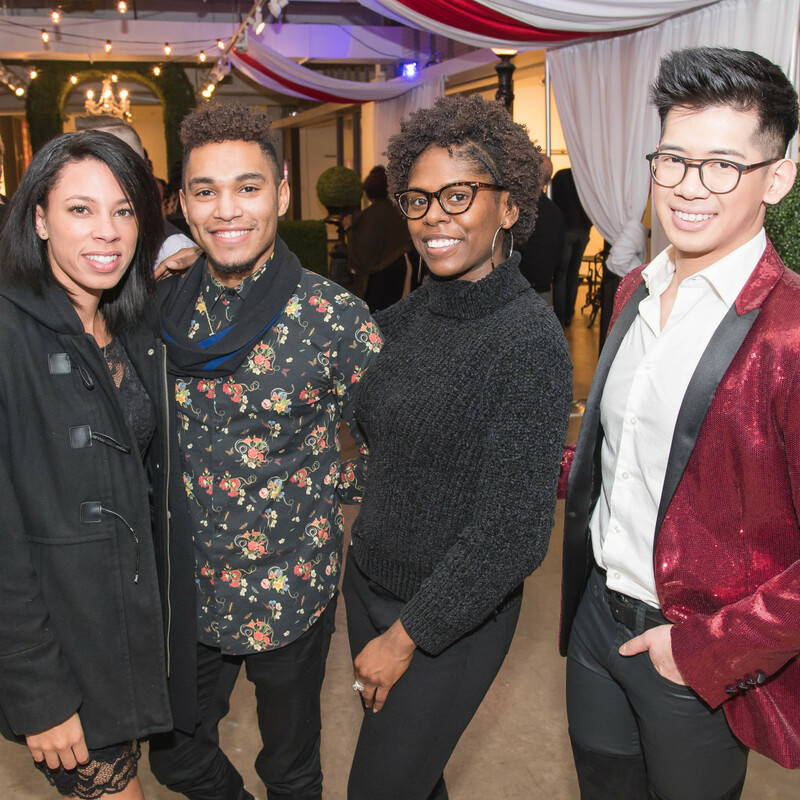 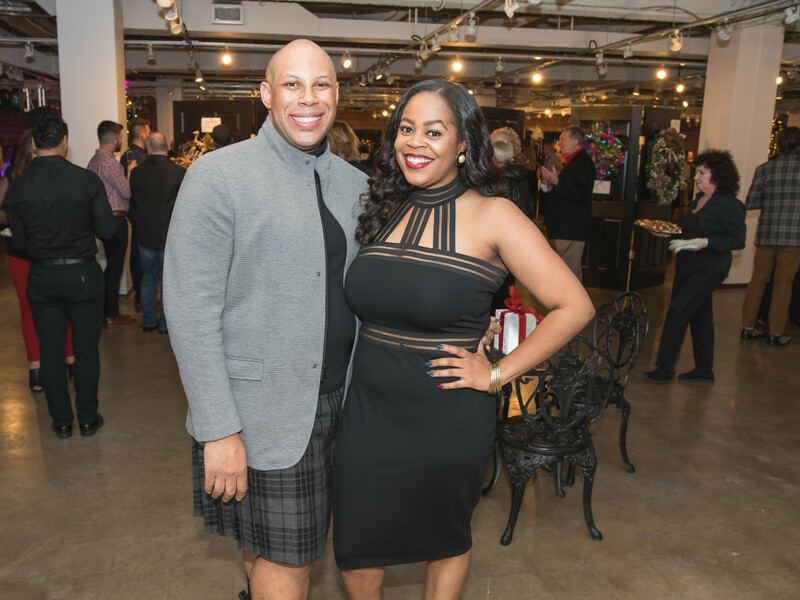 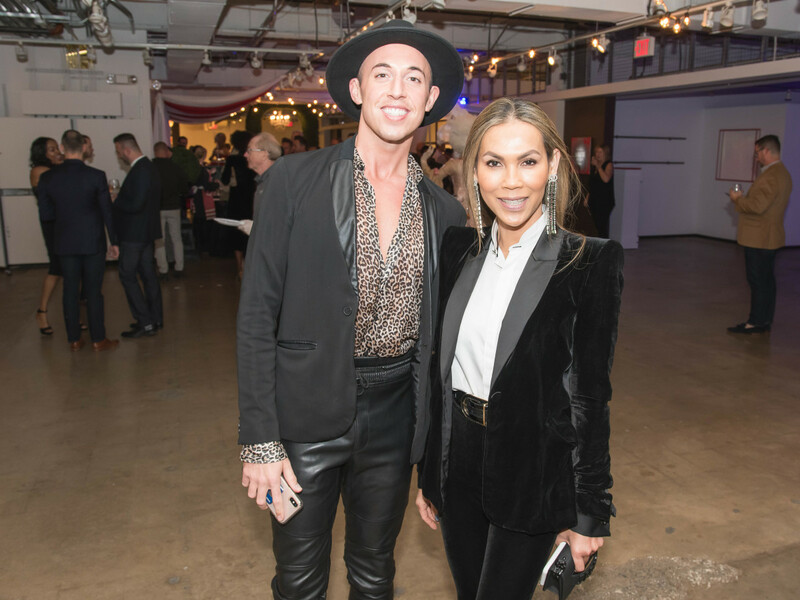 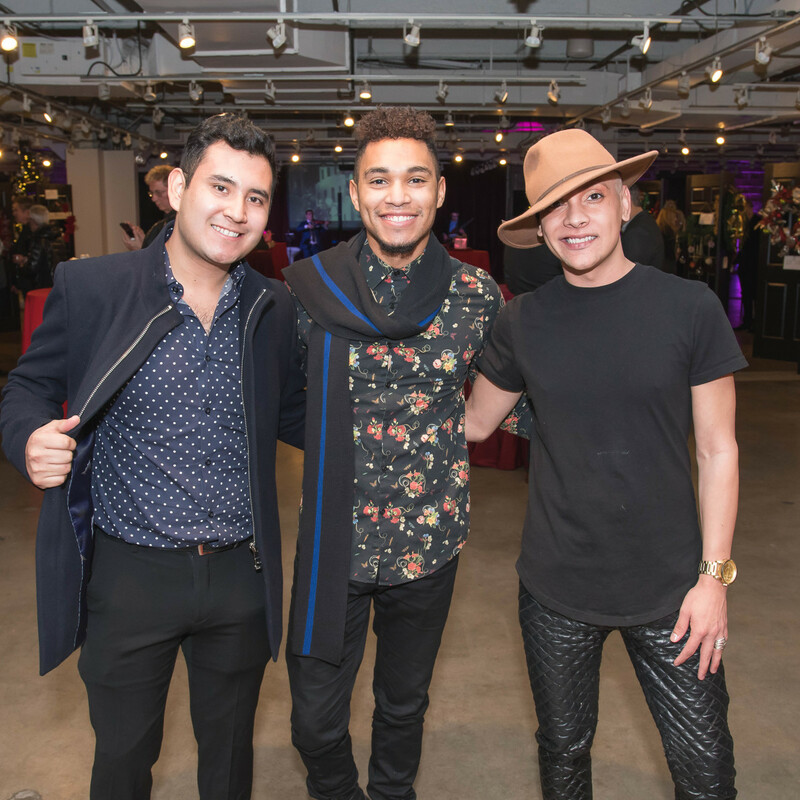 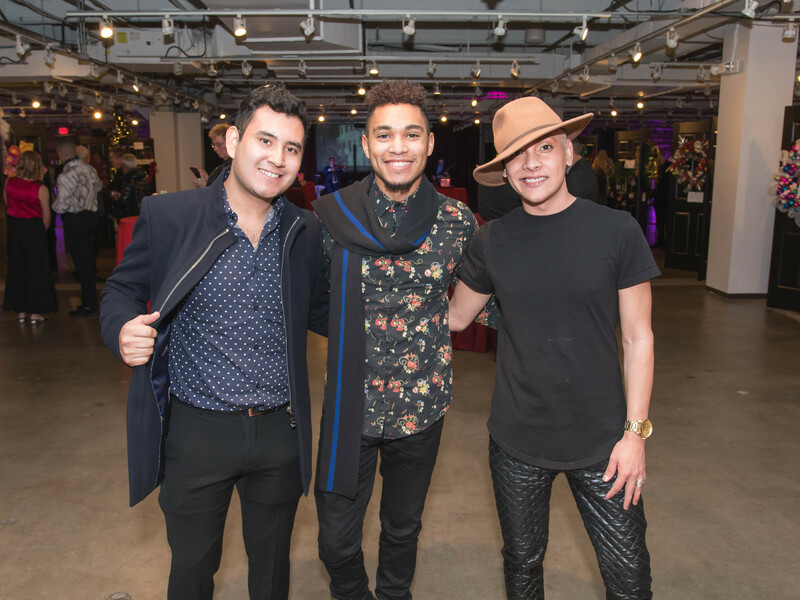 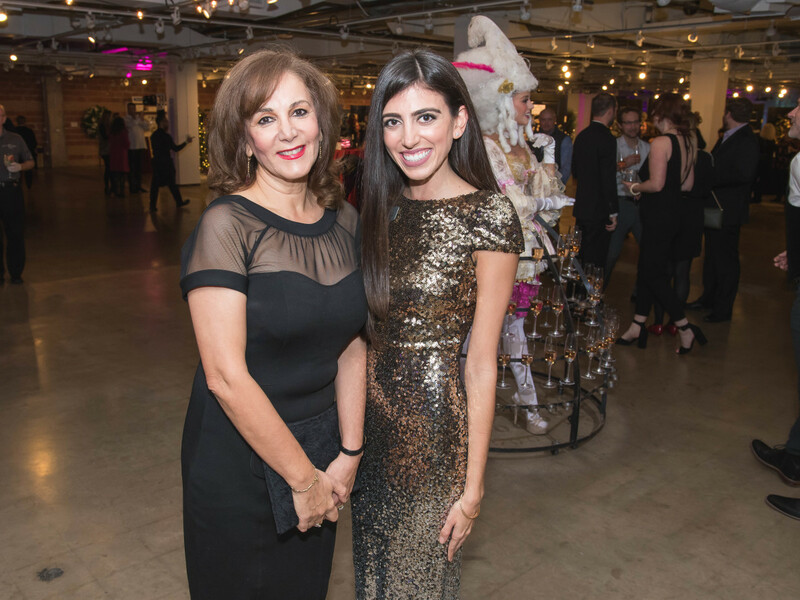 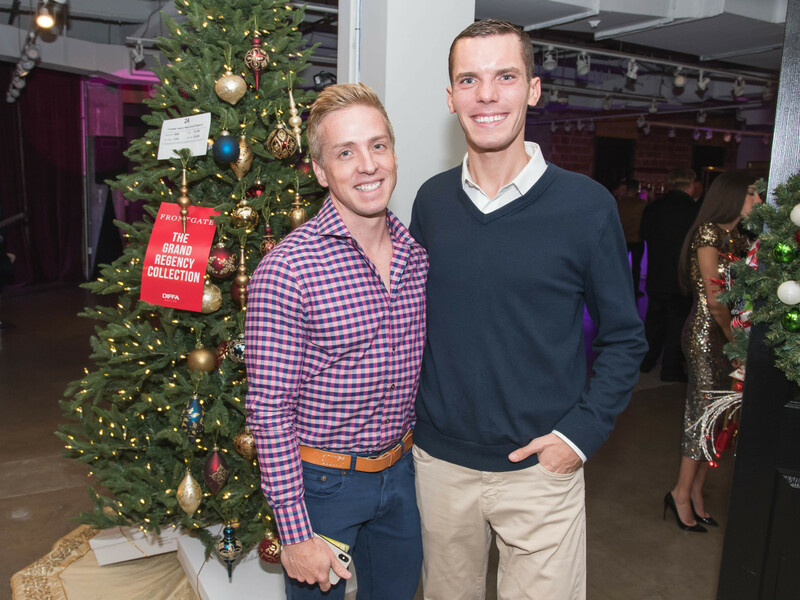 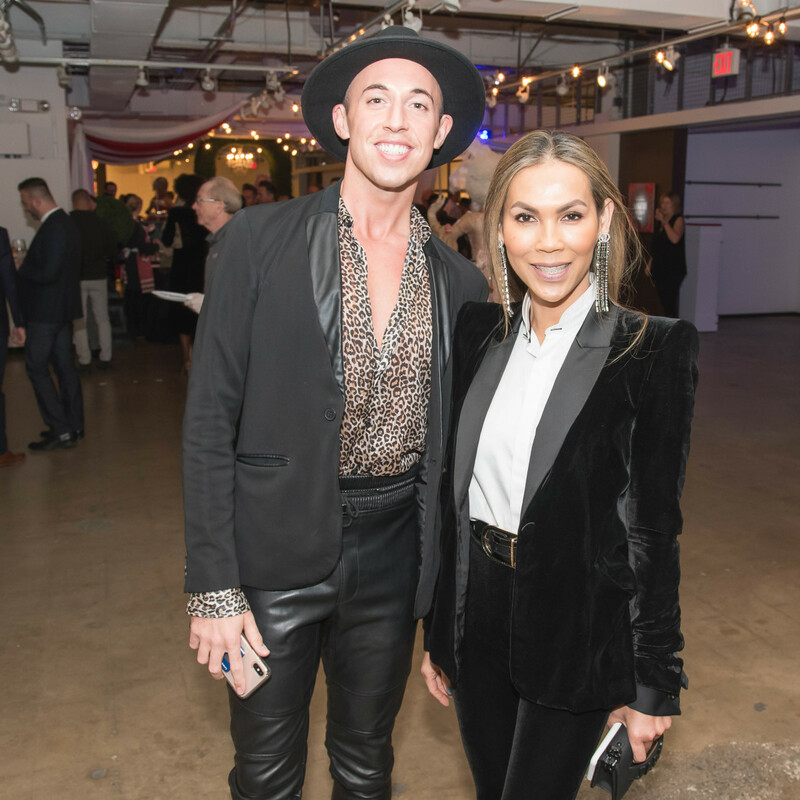 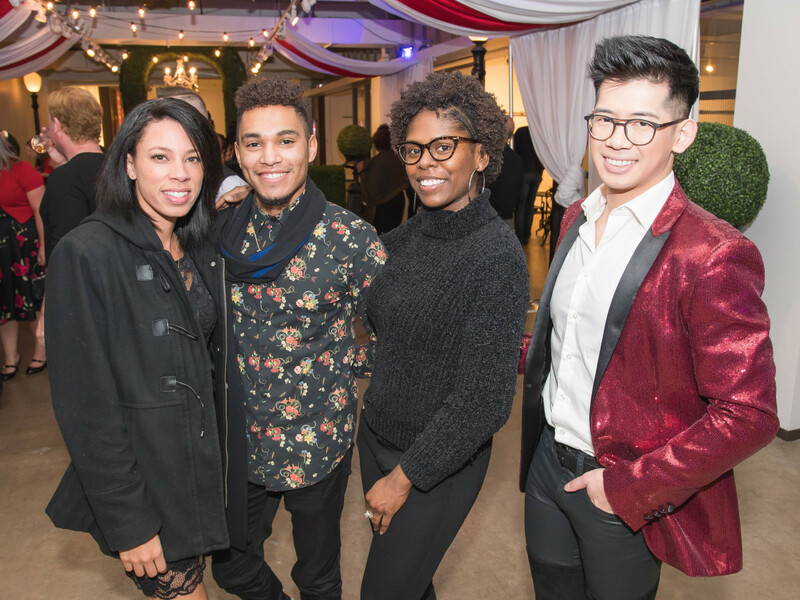 The decorative-minded folks who gathered at Fashion Industry Gallery on November 15 also happened to be very much into philanthropy, as the chic soiree is a fundraiser for the direct care that DIFFA provides to those living with or affected by HIV/AIDS in North Texas. 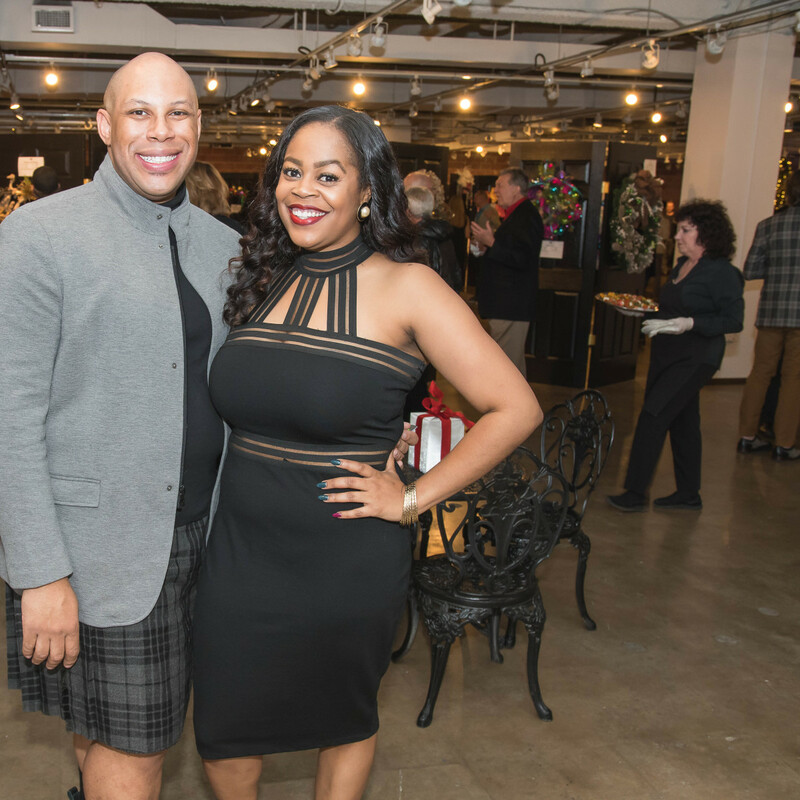 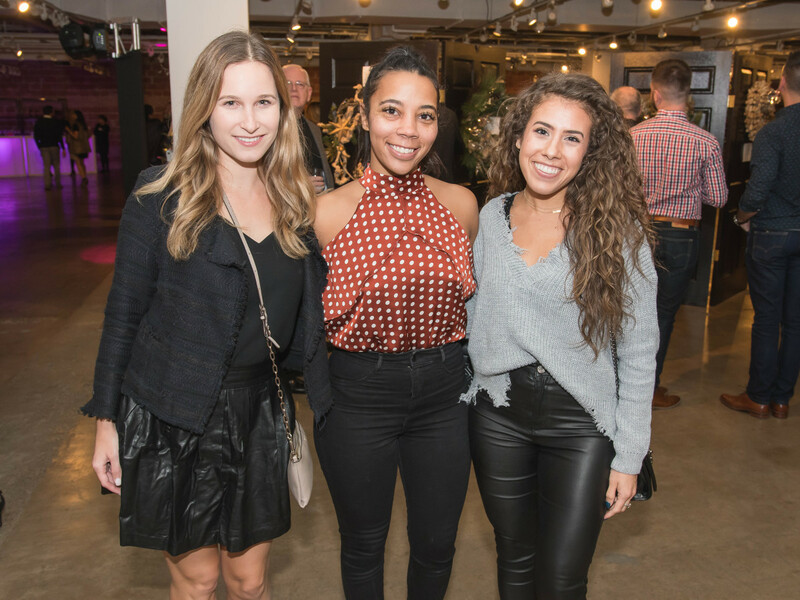 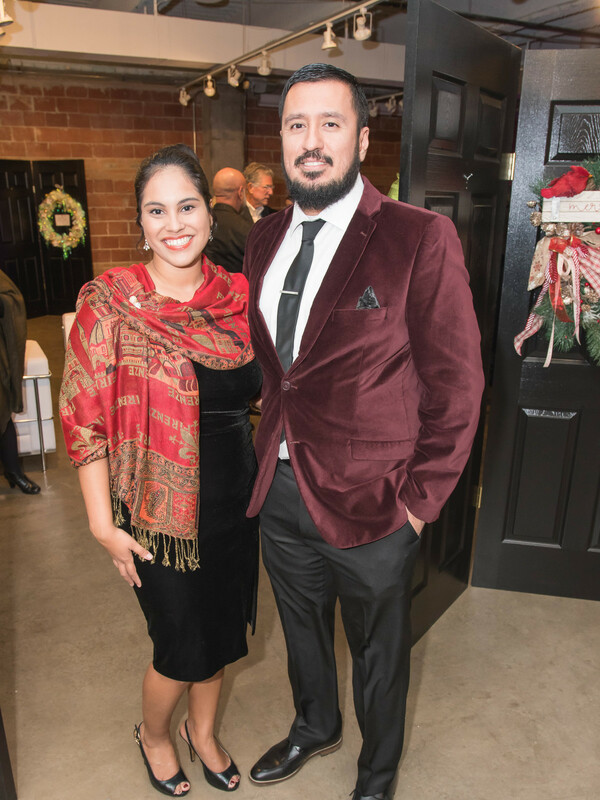 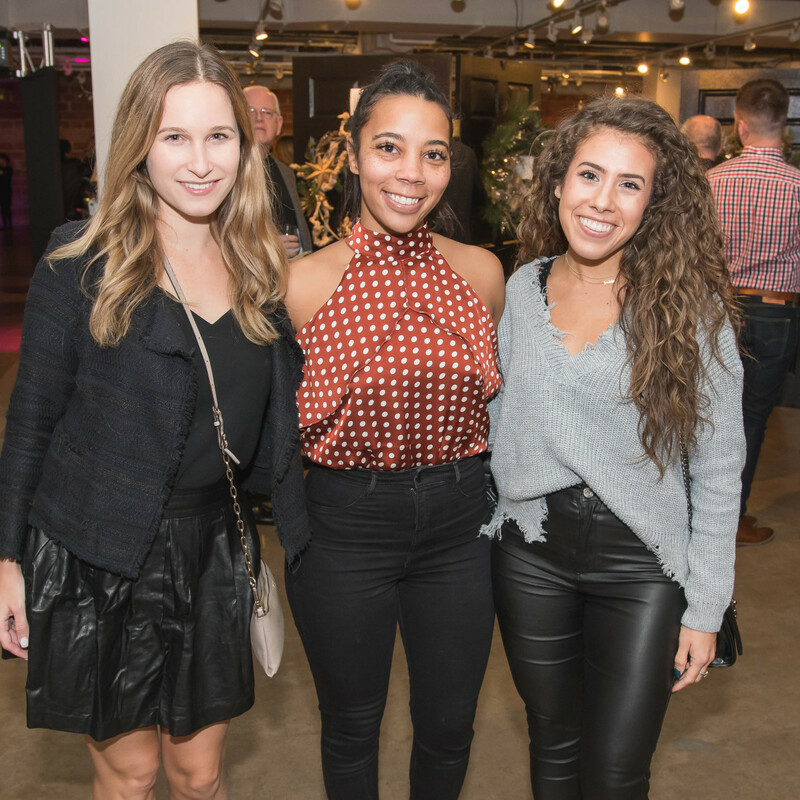 Event co-chairs Meagan Camp and Karena Chisolm were the masterminds behind the annual event, now in its 23rd year, and went all out with the Marché de Noel theme. 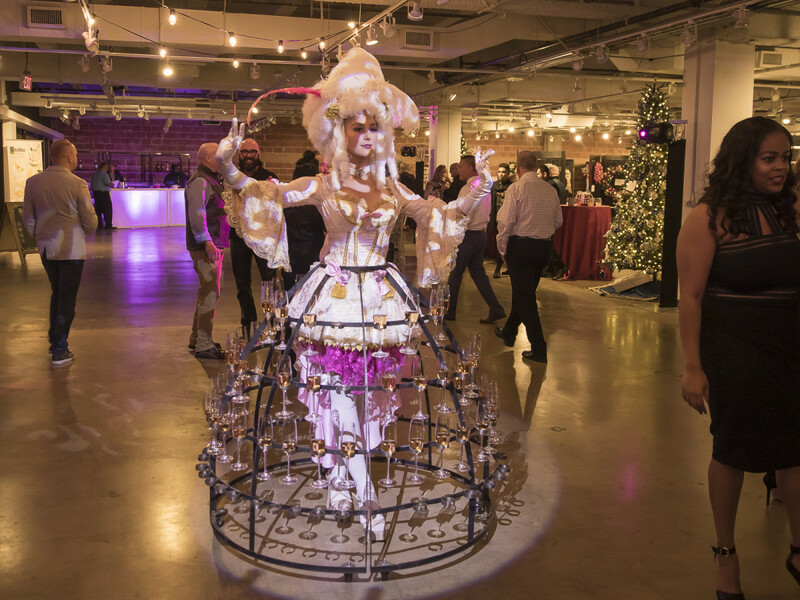 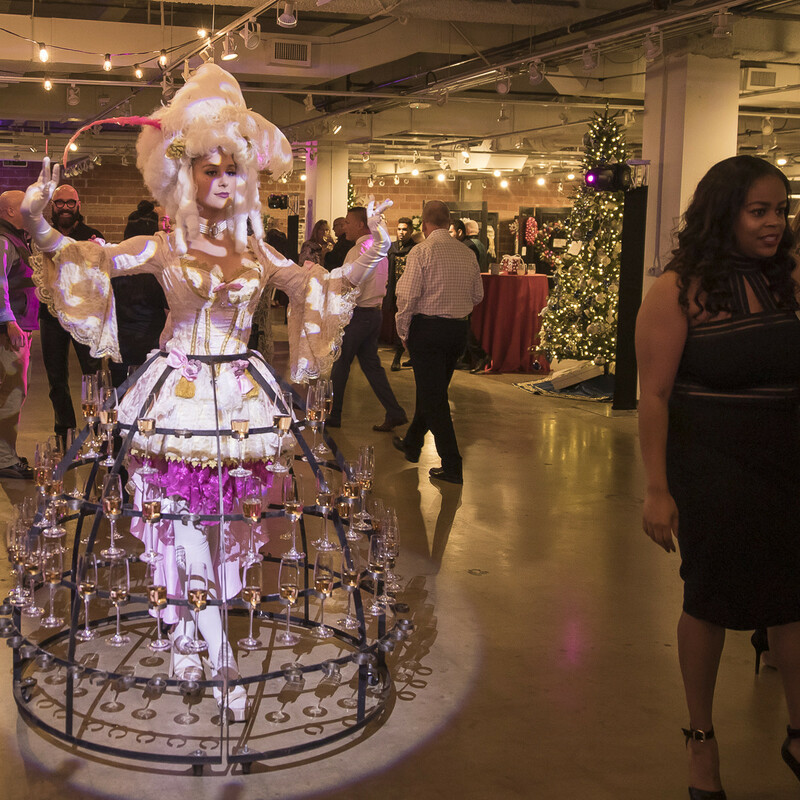 Living sculptures proffered flutes of Impeccable Brut from their Marie Antoinette-inspired skirts, while Dallas String Quartet Electric played classic Christmas tunes with a modern twist. 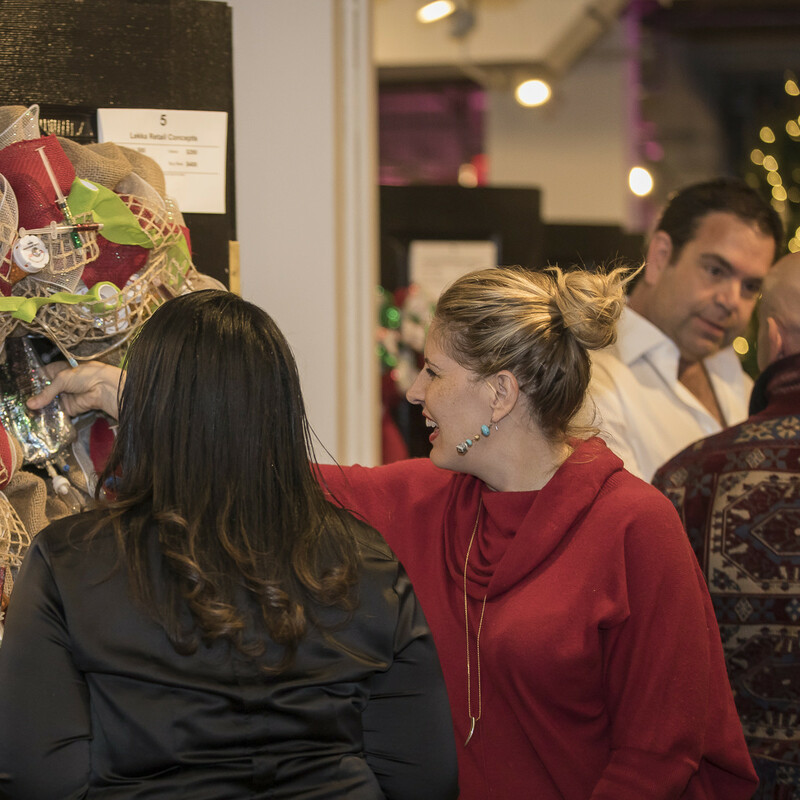 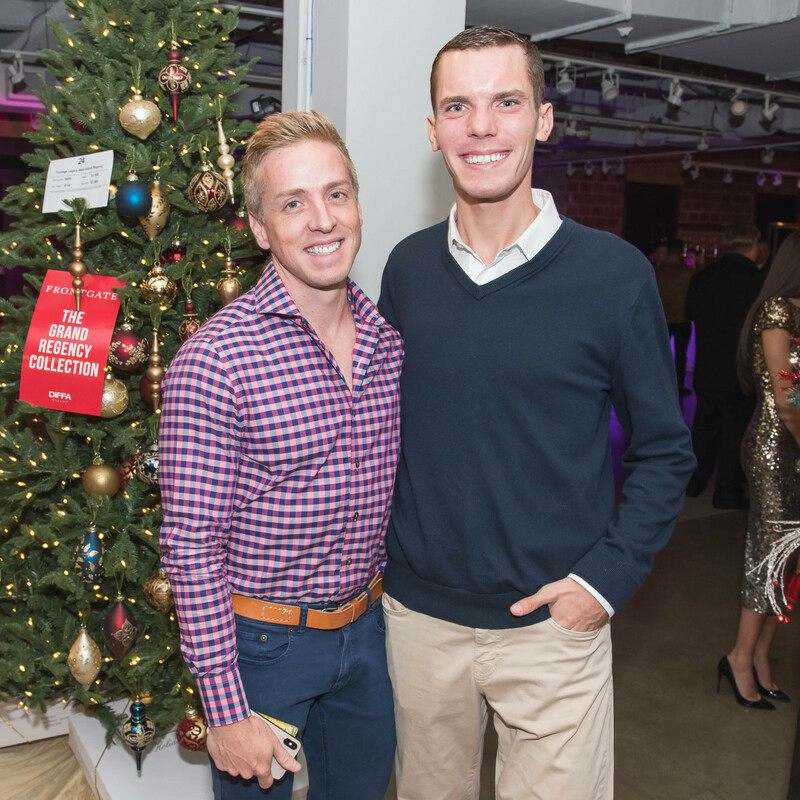 Up for admiration and bidding were more than 70 one-of-a-kind wreaths and accessories designed by Dan & Joseph, Brian Chaffin, Dylan's Candy Bar, Nuvo, Shane Burroughs, The Container Store, and many more. 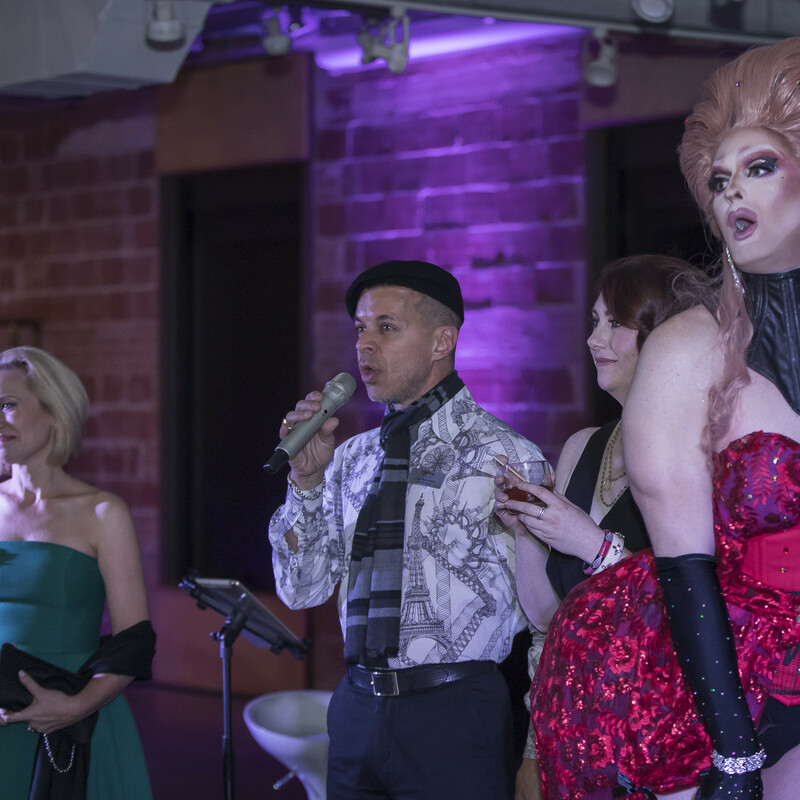 Styles ranged from traditional bows and boughs to the clever "Awreatha Franklin" and a circular tribute to the television reboot of Queer Eye for the Straight Guy. 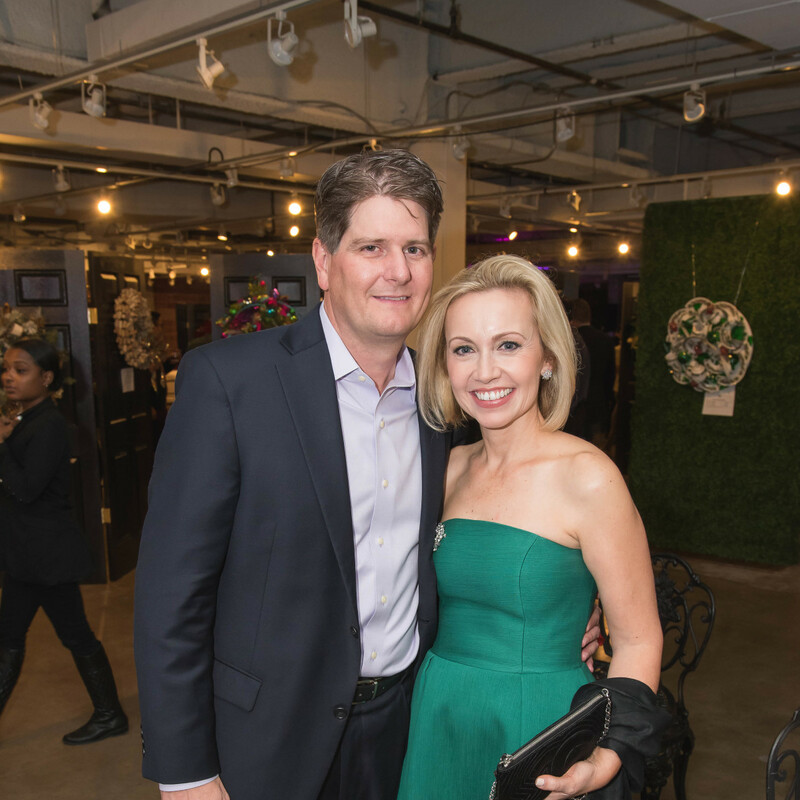 DIFFA/Dallas' chairman of the board, Lee Borchert, was spotted mingling with guests who included Allan Knight, Cearan Henley, Carol Quist, Parker Williams, Brittanie Buchanan Oleniczak, Jim DiMarino, Rhonda Sargent Chambers, Eduardo Gàmez, Densil Adams, Josh Mayer, Steve Weir, Matthew Carrigan, Nikki St. George, and Debra Nelson. 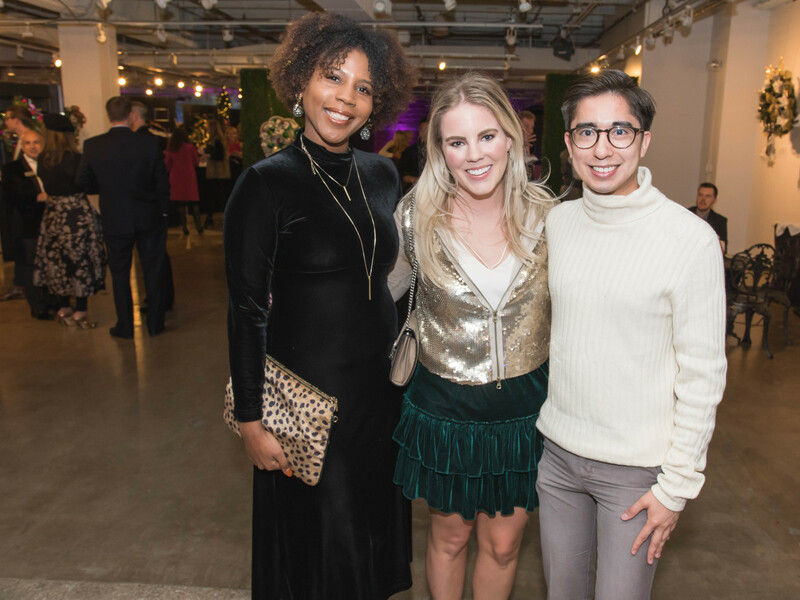 This year's event also featured a Christmas tree auction by Frontgate at Legacy West and an Elfa gift-wrapping station generously donated by title sponsor The Container Store. 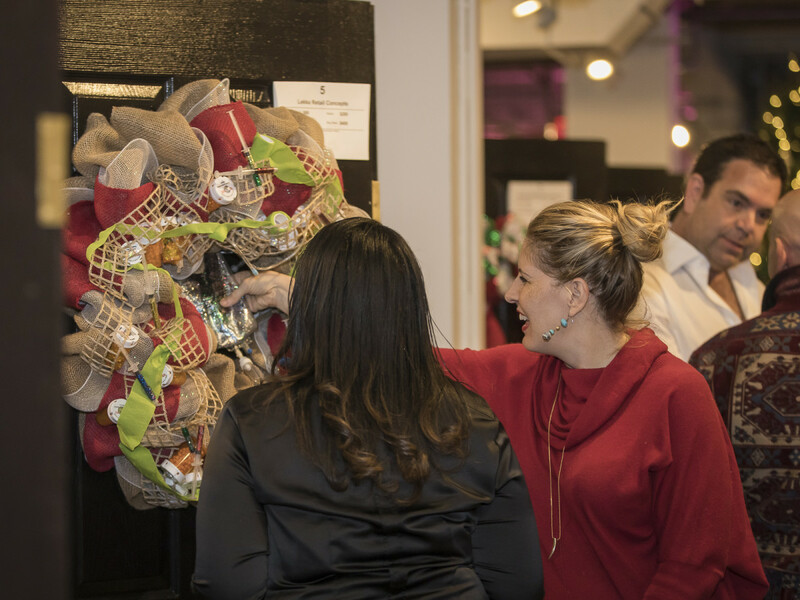 In addition to the unique and festive wreaths, attendees could also bid on the extraordinary auction packages and also get first dibs on the most valuable tables for House of DIFFA: Futuro, which will be held March 16, 2019, at the Omni Dallas hotel. 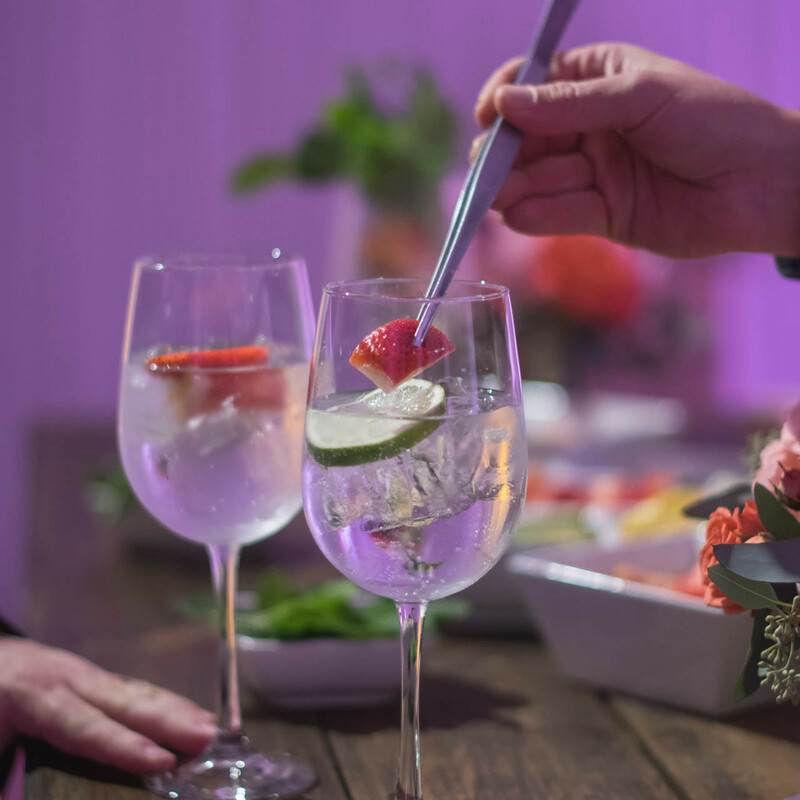 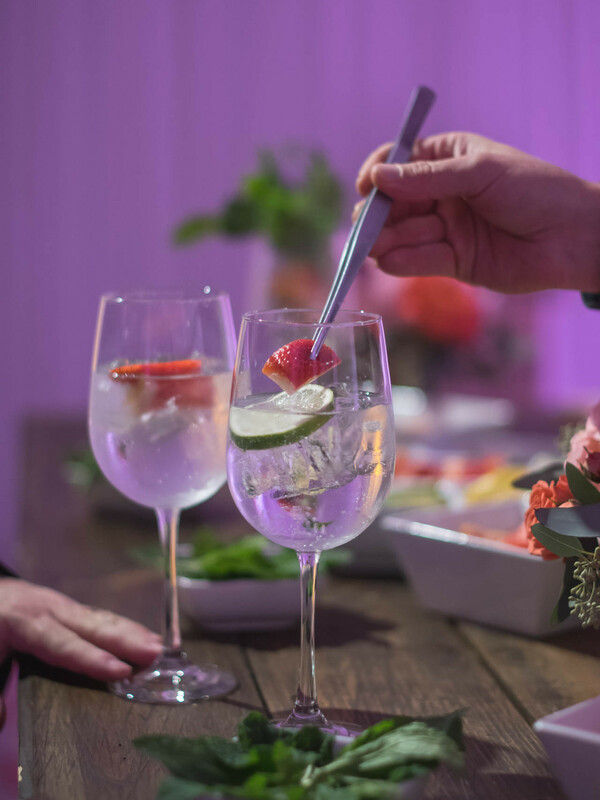 In a side room blooming with fresh flowers, Ketel One invited guests to build their own cocktail creations, which nicely washed down hors d' oeuvres from III Forks Steakhouse and Seafood and fresh crepes from Whisk Crepe Cafe. 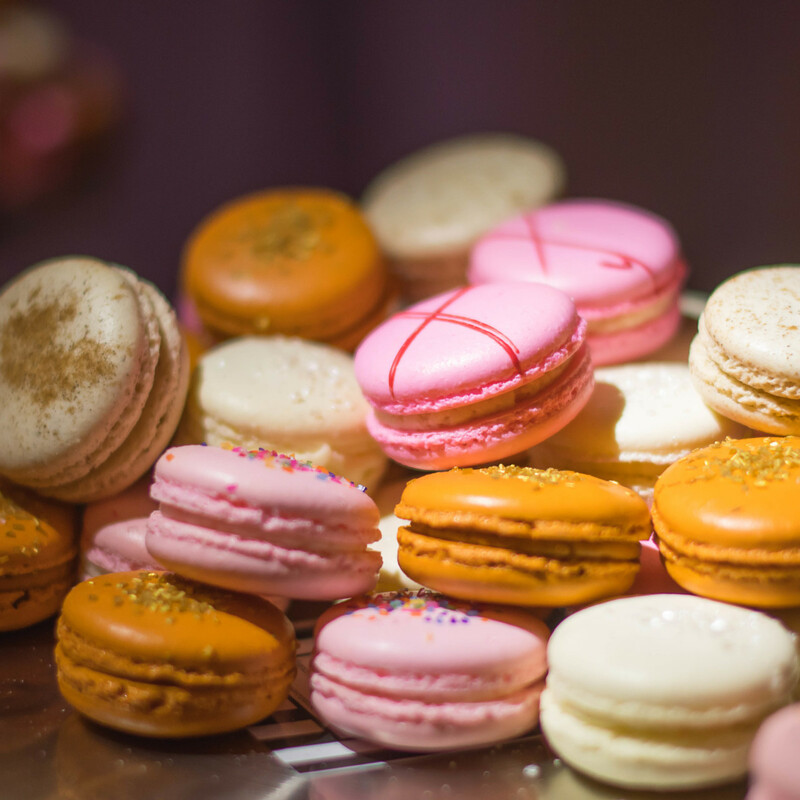 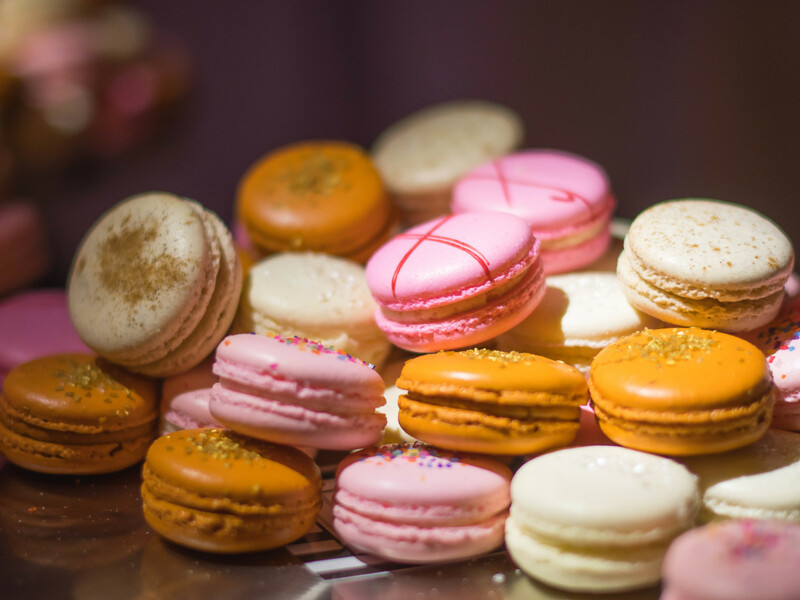 Sumptuous desserts from Rush Patisserie, Savor Macarons, La Madeleine, and Starbucks ended the night on a sweet note. 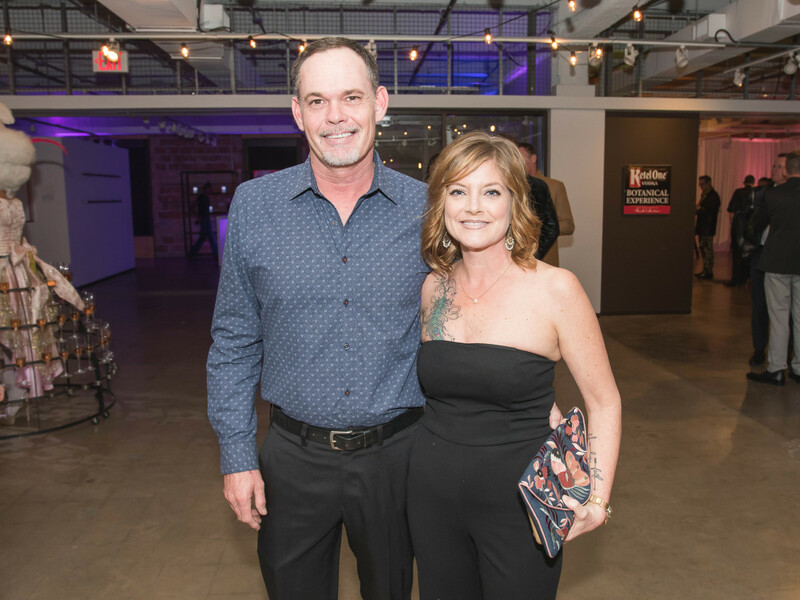 Formed in 1984, the Dallas chapter of DIFFA (Design Industries Foundation Fighting AIDS) is one of the largest HIV/AIDS organizations in Texas and has since granted more than $8 million to 25 frontline HIV/AIDS service organizations in North Texas. 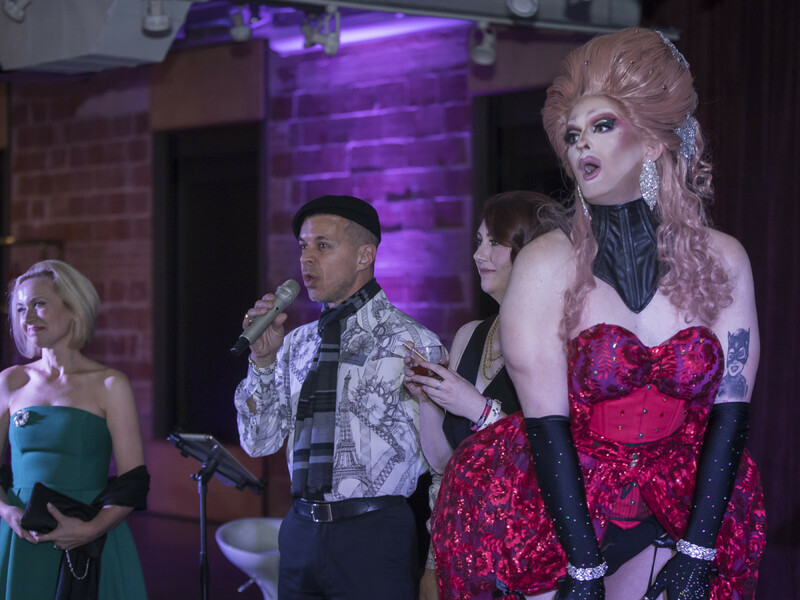 For more information about the organization or to get involved, visit www.DIFFADallas.org.